Cant Sew – Cant Draw – Can I Still Start a Clothing Line? Can I Still Start a Clothing Line If I Can’t Sew or Draw? Many aspiring fashion designers are confronted by fashion industry myths that one should not start a clothing line or can’t start a clothing line if they can’t draw or sew. This myth could not be further from the truth. It is absolutely possible to start up a clothing line or fashion brand without these skills. If your passion is to have your own fashion label and these beliefs have been holding you back then today you can put those concerns to rest. Don’t get me wrong, these skills are great if you have them or want to learn them. However they are not gatekeepers as to if you can or can’t start your own line. Starting your own line requires passion, dedication, creativity and industry knowledge. The first three items mentioned are based on you. Industry knowledge can come from reading books like the Official Step by Step Guide to Starting a Clothing Line. Now let’s get to sewing. Knowing how to sew is great because you can make your own samples and you do not have to pay someone else to it. On one hand that can cut down on the time to develop a design. But over time, sewing your own samples may now take longer because you have so many other hats to wear as you are on the road to starting your own clothing line. Most industry designers outsource the sewing of samples. Nearly all clothing lines outsource production to professional sewers and clothing factories. With this being said, there are many fashion designers who do not sew at all. They outsource their clothing creation to professional seamstresses, sample makers and factories. It is highly possible as well that you do not need to know how to create your own clothing pattern either. As long as you have your garment measurements then you can have professionals make your designs without providing them with a pattern first. This is also a myth in the industry. Again – you do not need a pattern or need to know how to sew to get clothing made / start your own clothing line. Keyword: Outsource. Now this does not mean that you should not educate yourself on garment construction. Analyze the clothing in your closet and elsewhere for construction and details. Start paying attention to the smallest details that you maybe have never paid attention to. You may even want to deconstruct some garments to see the inner workings. In order to outsource your sewing needs to other brings us to the next myth – Do you have to know how to draw to be a fashion designer or start a clothing line? Absolutely NO! The main goal of fashion design is to be able to present / communicate your clothing ideas in a professional manner so that others will be able to understand your vision. Notice this statement does not mention anything about using your drawing skills to achieve that. So how do you get around not being able to draw yet still have a way to present professional designs? The answer is fashion design software like Digital Fashion Pro. With Digital Fashion Pro you can design clothing and create professional digital fashion sketches even if you can’t draw at all. In fact, most clothing lines use fashion design software to create their designs. You can easily create your fashion sketches without ever touching a pencil. Most manufacturers also require designers to submit their designs in clean digital format over hand drawings. Now it is great if you can draw or want to learn how to draw – no problem because having a skill is having a skill. However in all practical sense, whether you can draw or not you still are going to have to present your designs in industry format which is digital cad. 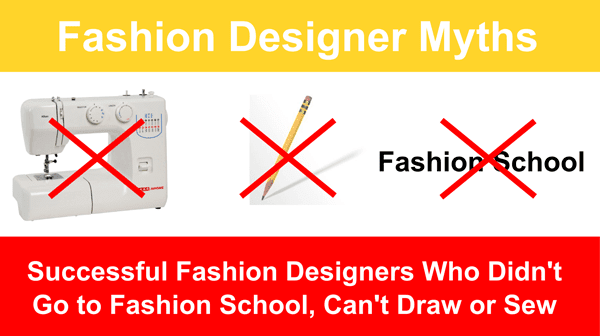 ANSWER: YES YOU CAN START A CLOTHING LINE IF YOU CAN’T DRAW OR SEW! Myths should not prevent you from going after your fashion goals. You an be successful in the fashion industry if you are using the right tools and resources. Knowing how to sew or how to draw play no part in whether you can start your own clothing line. There are many successful fashion designers and clothing lines that can’t sew or draw just like you. 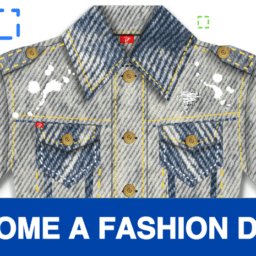 Digital Fashion Pro is a fashion design software company powering fashion designers and clothing lines worldwide.